There is something magical about putting pen to paper and making your words appear. It is such a real and concrete way to communicate with others. But when inspiration doesn't strike and you hear "I don't know what to write! 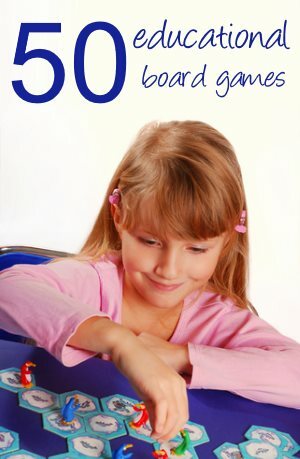 ", you need to find some creative writing ideas for kids. That is what this page is for! I have put together this list of creative writing activities for kids in the hope it will help your teaching! 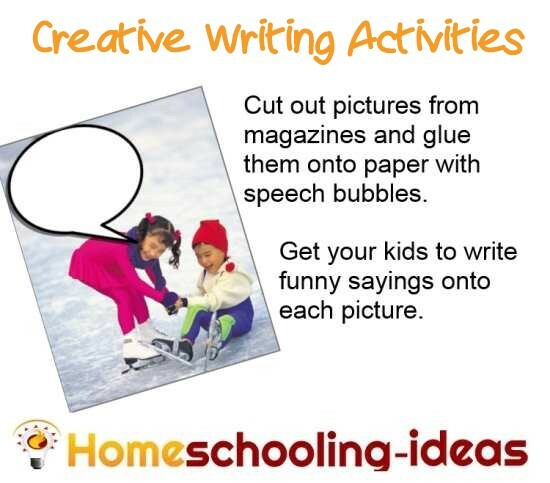 Homeschooling is wonderfully flexible - and there are some great ways of encouraging your children to write. A great way to get your kids writing is to make use of your daily newspaper. Find a newspaper article or magazine article that may be of interest to your children. Get them to write more about the characters of the article. What happened to them? What did they do afterwards? Or try the same thing just using headlines cut from the newspaper. Cut out some headlines and stick them at the top of blank (or lined) sheets of paper. Keep an eye out for really funny headlines that you think the kids will like. If your newspaper headlines are boring, mix words from several headlines until you get something unusual! For older children you could choose political or current affairs headlines. Ask the children to write a story to go with the headline. And don’t forget that all good newspapers need pictures too! 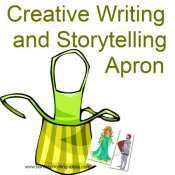 Write and perform a puppet show, play or animation. Want to know how to make an animation? Journals don't have to be about 'What you did at the weekend'! You can use them to explore all sorts of topics. Find out more about journaling for kids. For a book on Journal prompts try this one. Cut photographs of people from magazines and ask the children to pick two or three of them. Write about who the people are, what their lives are like, and how they might know each other. It would also be fun to place the pictures of people in a geographic location and ask the children to write about what they are doing there. A variation on this theme would be to go out to a park or cafe and do some people watching. Pick some people and make quick notes about them - how did they look, what were they wearing. Then write a story about them when you get home. These are fun to write (remember to let them read lots of comics as research!). There are several online programs for making comic books. Cut out slips of paper and write a word or two on each - blue/smooth/frosty/loved. Get the children to pick three to five words and make up a story using them. It seems to motivate children if their musings are to be read by lots of people. If your children are homeschooled then invite them to join the Homeschooled Kids Carnival. Show the children some reviews by movie critics, then watch a movie for them to review. If you are looking for movie ideas, see my page teaching with movies. 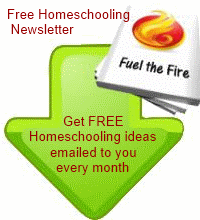 Start an Ideas Daybook to keep track of your creative homeschooling ideas. Lets Get Creative - Fantastic site by Bruce van Patter. Lots of activities and ideas. 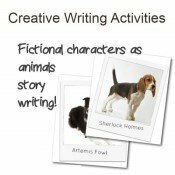 Writing Fix - interactive writing prompts for children. 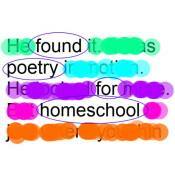 Look what's available in my homeschool store! Oh my goodness! I am a home schooling mum of 4 and I have NEVER found a better site! Thank you so much. I wanted to say THANK YOU for your fabulous website. I found your website, and finally I have the confidence to take the plunge and take my daughter out of school and educate her at home, thank you, thank you. I cannot get over how much great information and super ideas you have here. Fantastic! This is simply fabulous!! I just now found this site and I'm so excited!! The opportunities and suggestions as well as the need to inspire are exactly what I have been searching to fulfill!! I'm so thrilled to get started and even more excited to continue to explore all of the fabulous suggestions and creative ideas you have offered here!!! Thank you, thank you, thank you!